> OBSESSED: Summer, I love you. Hello lovelies! How are you doing? I'm enjoying my summer to the fullest. In this post I'm wearing a blouse as a dress, to be near the water. I did a halo braid to complete the summery look. I just wanted to look fresh. Maybe you can't notice it, but I'm wearing a light pink lipstick; I just love how it looks on me during the Summer, it makes me look more tanned. I really hope you've liked this look and photos. Hola linduritas! Como andan? Yo estoy disfrutando del verano a full. En este post estoy usando una blusa como vestido, para estar cerca del agua. Me hice una vincha de trenzas para completar el look veraniego. Quería verme fresca y natural. Tal vez no lo noten, pero estoy usando un lapiz labial rosa clarito que amo como me queda durante el verano porue me hace lucir mas tostada. Espero que les hayan gustado las fotos y el look. I love the blouse as a dress. It's so pretty & you can never go wrong with anything floral. Wow. Wow you look so pretty!! Love the summer feel and the dress..here it's snowing...so can't wait for summer! You look great, four months until summer here in New York! Lovely photos and that sunshine looks wonderful! Can't wait for summer to be back in the States! Wow! You're so pretty and you look so lovely in that dress. <3 I can't wait for summer 2015. Lucky you! Enjoy to the fullest! What gorgeous photos!! Lovely dress :) Enjoy your fun in the sun. I love your style!! You're so pretty and you look so beautiful in that dress! Super cute dress! I miss summer!!! I can't believe you're in summer right now, I'm so jealous! Although to be fair it's not really that cold in LA, either... I just feel weird wearing dresses and sandals when it's still supposed to be "winter" in the US. Cute pics! Lovely photos <3 I miss summer so much! Great photos and your hair looks so lovely! Amazing post! You look so cool!!! so cute! I miss Summer! 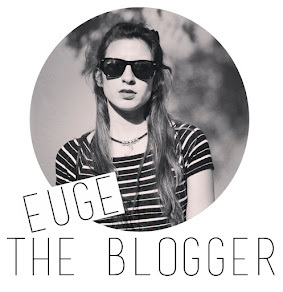 Maybe you wanna follow each other on GFC, bloglovin and facebook? let me know I love your blog! Me ha encantado la blusa floreada, y las fotografías, son preciosas, están llenas de luz! Very pretty blouse! Great that you have such lovely weather. You look stunning! Love the floral top, and your hairstyle is amazing. I love summer as well, but currently I am trying to enjoy my winter as it is still months away from summer:) you look cute in this little white dress. and I like your hair band as well. que linda, me gusta tu outfit, super sencillo e ideal! If you wanna share my content, do it, but don't forget to name me . Powered by Blogger.